Volkswagen has two new sedans in the pipeline, the VW Virtus and the VW Jetta. 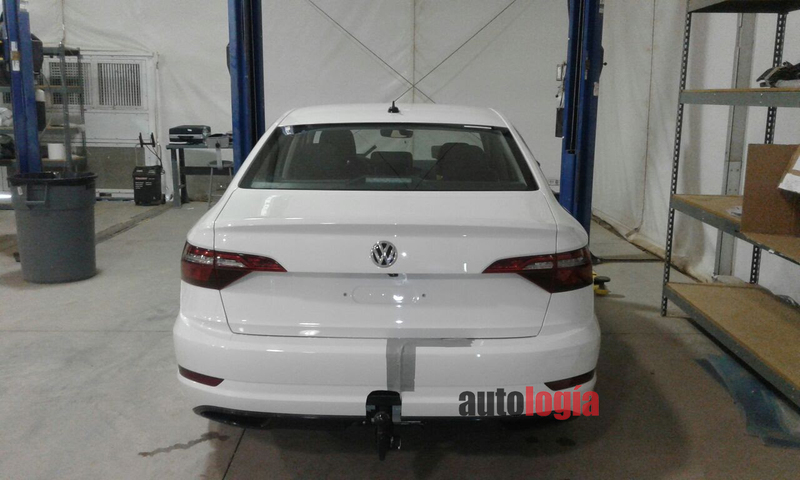 Just days after the VW Virtus, spy photos now expose the 2018 VW Jetta, courtesy autologia. The redesigned North American-spec VW Jetta seen here is based on the MQB platform. The 2018 VW Jetta here is for North America. With the complete redesign, the VW Jetta looks more contemporary than before, although it lacks the sportiness of the Honda Civic and the elegance of the Hyundai Elantra. At the front, there's a large hexagonal grille. It should have chrome slats in the top-spec grade. 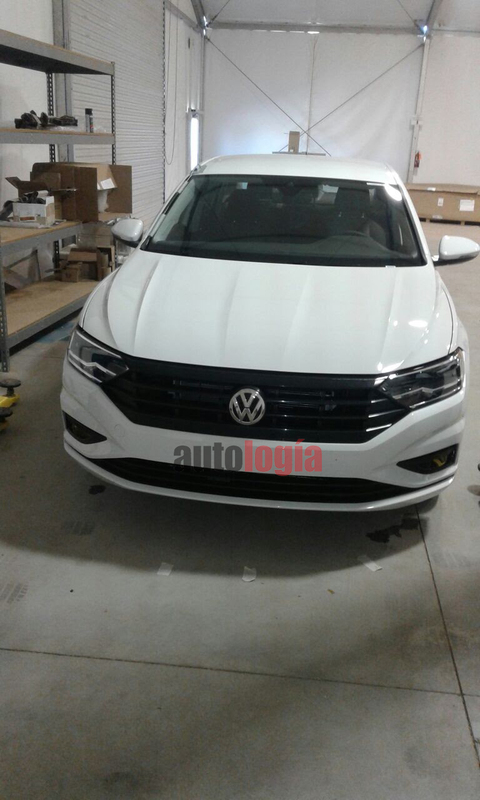 The VW Passat-inspired headlamps appears to have C-shaped graphics the way they look connected to the radiator grille. The profile looks sleeker giving a more dynamic look to the car. As with the VW Virtus (2018 VW Polo Sedan), the 2018 VW Jetta's sharper tail lamps and the subtle decklid spoiler are reminiscent of the Audi A4. The new generation VW Jetta sits on the MQB platform and looks longer than the outgoing car. There's no word on specifications of the 2018 VW Jetta. The current U.S.-spec version is available with 1.4-litre (150 hp/184 lb.-ft.), 1.8-litre (170 hp/184 lb.-ft.) and 2.0-litre (210 hp/207 lb.-ft.) turbocharged petrol engines. It's unknown if the mid-tier 1.8-litre engine will continue, but the 1.4- and 2.0-litre engines should soldier on. The 2018 VW Jetta's production will commence in Mexico in December this year. Series production of the 2018 VW Jetta will commence at the Puebla plant in Mexico in December this year. Sales should start in early 2018. Earlier reports said that limited success of the current model may not motivate Volkswagen to build the all-new VW Jetta in the right-hand drive version. Regardless of that, it is ruled out for India.